Washington (AFP) - US President Donald Trump dodged questions about ties with Russia, railed against intelligence leaks and defended the national security advisor he just fired, as crisis engulfed his fledgling administration. Amid revelations that Trump aides were in repeated contact with Russian intelligence officials in the run-up to his shock election victory last year, the Republican billionaire battened down the hatches, even as members of his party called for a broader probe. The 70-year-old president accused his own intelligence community of being behind the leaks, directly pointing the finger at the National Security Agency and the FBI. "This Russian connection non-sense is merely an attempt to cover-up the many mistakes made in Hillary Clinton's losing campaign," Trump said in one tweet. "The real scandal here is that classified information is illegally given out by 'intelligence' like candy. Very un-American!" 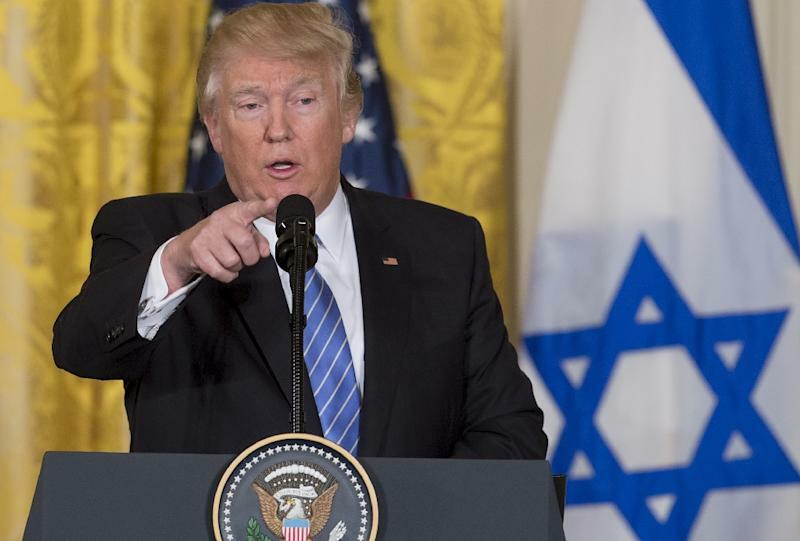 At a press conference with visiting Israeli Prime Minister Benjamin Netanyahu, Trump called on journalists sympathetic to his administration in order to dodge tough questions about his aides' ties to Moscow. He addressed the high-profile sacking of national security advisor Michael Flynn -- only to blame reporters for what he called the mistreatment of his former aide. "I think he's been treated very, very unfairly by the media, as I call it, the fake media in many cases," he said. Trump demanded Flynn's resignation Monday, after wiretaps showed he falsely claimed he did not discuss sanctions policy with Russia's ambassador to Washington. Since then, Trump's administration has been shaken by new reports of high-level Russian contacts with his aides and associates during the 2016 presidential campaign. 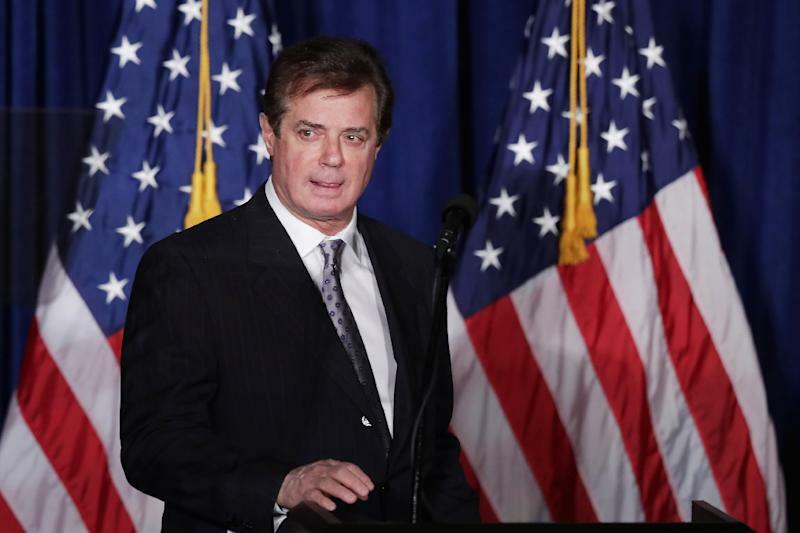 Among those picked up on the calls was Paul Manafort, a Trump campaign chairman who had worked as a political consultant in Ukraine, The New York Times said. Manafort called the report "absurd." "Don't believe newspaper reports -- it's very difficult at the moment to differentiate them from falsehoods and fabrications," Peskov told reporters. "If you don't mind, let's wait and let's not believe anonymous information, which is information based on no fact," he said. The revelations have infuriated Democrats and unsettled Republican leaders wary about Trump's professed desire for better relations with Moscow. "This ongoing story is a perfect piece of evidence as to why we should not trust Russia," House Speaker Paul Ryan said. Republican and Democratic lawmakers have now called for an investigation into what happened, although they differ on the scope and powers of the probe. Democratic Senator Elizabeth Warren insisted that Trump "owes Americans a full account" of his campaign and administration's dealings with Moscow. The Senate's top Republican Mitch McConnell said it was "highly likely" that Flynn would have to testify before an intelligence panel. Hawkish Republican Senator Lindsey Graham minced no words in describing the seriousness of the crisis. "It is a cloud over the White House," said Graham, who has called for in-depth investigations. Adding to administration woes, Trump's pick for labor secretary, Andrew Puzder, withdrew from consideration Wednesday. The 66-year-old fast-food executive was under fire for his labor practices, his hiring of an undocumented migrant and old video that emerged of his ex-wife alleging domestic abuse. Puzder denied his ex-wife's allegation, which was later withdrawn. In January, US intelligence agencies released a declassified report concluding that Russian President Vladimir Putin personally ordered a wide-ranging campaign to disrupt and ultimately influence the US election in Trump's favor. The issue reignited following disclosures that Flynn, a retired general and former head of the Defense Intelligence Agency, made five phone calls with Russian envoy Sergey Kislyak on December 29. That was the day outgoing president Barack Obama launched retaliatory sanctions against Russia for election meddling. 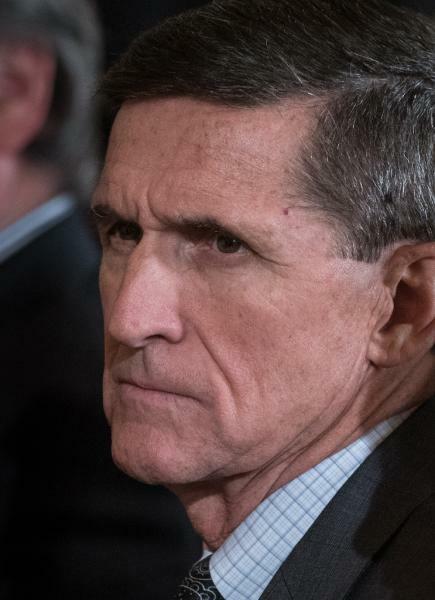 When the calls came to light, Flynn denied to Vice President Mike Pence and other White House officials that he had discussed the sanctions with Kislyak, and Pence repeated the denial in a television interview January 15. On January 26, acting attorney general Sally Yates informed the White House legal counsel that intelligence intercepts show that Flynn lied about the nature of the call, the White House acknowledged Tuesday. Spokesman Sean Spicer said Trump was told about the intercepts immediately. But Pence was kept out of the loop for two weeks. In a show of bipartisan cooperation, the top Republican and Democrat on the Senate Judiciary Committee asked the Justice Department for a briefing and data related to Flynn's Russia contacts. "We similarly request copies of the transcripts of Mr. Flynn's intercepted calls and the FBI report summarizing the intercepted calls," committee chairman Chuck Grassley and Democratic Senator Dianne Feinstein wrote to Attorney General Jeff Sessions. The White House insists Flynn was not acting on Trump's instructions when he discussed sanctions with Kislyak, but questions have been raised about why Trump took so long to fire Flynn. The White House counsel "determined that there is not an illegal issue, but rather a trust issue," Spicer said.